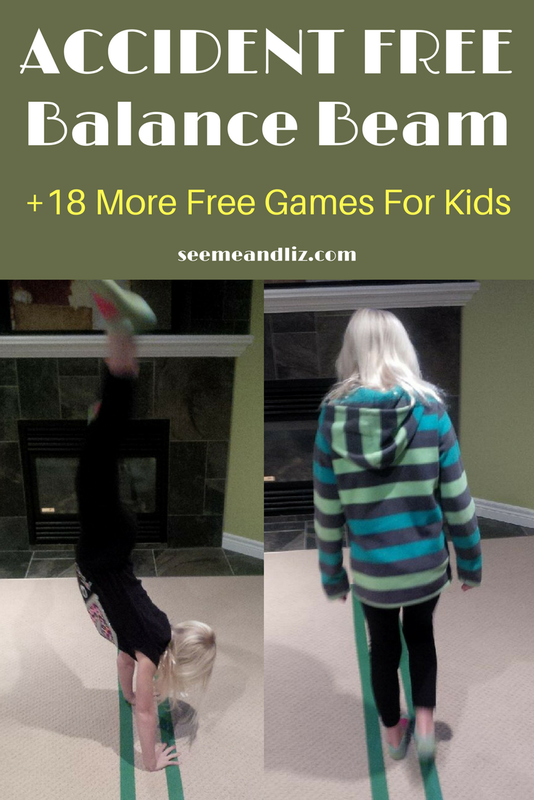 Seeme & Liz > General Parenting Tips > 19 Fun & Free Games To Play With Kids! Whenever I share articles about keeping kids occupied with fun activities, I also like to add a bit of a disclaimer. It’s ok for kids to be bored. In fact, it’s an important part of child development. But, there is nothing wrong (especially if you have younger children) to suggest fun activities from time to time. So, here is a list of 19 games and activities for kids that are completely free or only have a nominal cost for supplies if you don’t happen to have everything lying around the house. While many of these activities may seem simple, they are packed with natural learning opportunities! And they are perfect for rainy or snowy days as they can all be done indoors! Click on any of the underlined headings for more information. Cards are inexpensive and can keep children occupied for quite some time. There are many simple games you can play that are great for children ages 3 and up. For example, Memory, Go Fish, War, Old Maid, etc. Simple card games for kids are perfect for teaching children about rules and being a gracious winner. This is also a good time to work on how not to be a sore loser! If your little one is bored of the puzzles you have around the house, why not make your own! It’s a craft and activity in one. Make sure you get your toddler involved in painting the paper plates. Once your plate is decorated and ready to go, cut it out into various shapes, just like a puzzle! Talk about the colors you are going to use! Games like Simon Says are great for younger children, while Monsteropoly will be a hit with the older ones! There are so many simple cookies you can make with your children. A favorite in our house are 5 ingredient flourless peanut butter cookies! This is a great way to use up broken crayons and re-purpose them! This activity is so simple but lots of fun! All you need is some masking tape or duct tape and a carpeted floor (it’s softer and your floor won’t be left with tape residue). Decide how wide and long you want the balance beam and then tape the outline on the floor. Your little one can practice walking on it without stepping off. Or if he/she is a budding gymnast this is a safe way of practicing cartwheels and summer salts on a balance beam. If you have a small indoor trampoline you can add that to the end of the floor beam for some extra gymnastics fun! This was one of my favorite games as a child and my kids seem to enjoy it just as much. It’s very simple. All you need is some music and someone who can start and stop the music. Every time the music stops each participant must freeze in whatever position they were in when the music stopped. If you move, you are out of the game. The last one standing is the winner. This is a great little game to play before bedtime when the kids have some extra energy to burn off. This is always so much fun and it doesn’t matter what the weather is like outside. An indoor treasure hunt can be as simple or as complicated as you want to make it. The simpler you keep it for younger children the longer they will stay engaged. If the game becomes too complicated you will lose their interest. I love treasure hunts because they are great for practicing following and giving directions, reading and logical/critical thinking skills. My kids love this one, with or without the racket. But making a racket out of a paper plate is a fun craft as well. Each child can decorate their plate before the game begins. Practice skills such as hand eye coordination, catching, throwing and being a good sport. And don’t be concerned about playing this indoors – the ball is a balloon! My kids love creating with cardboard and so does almost every other child! 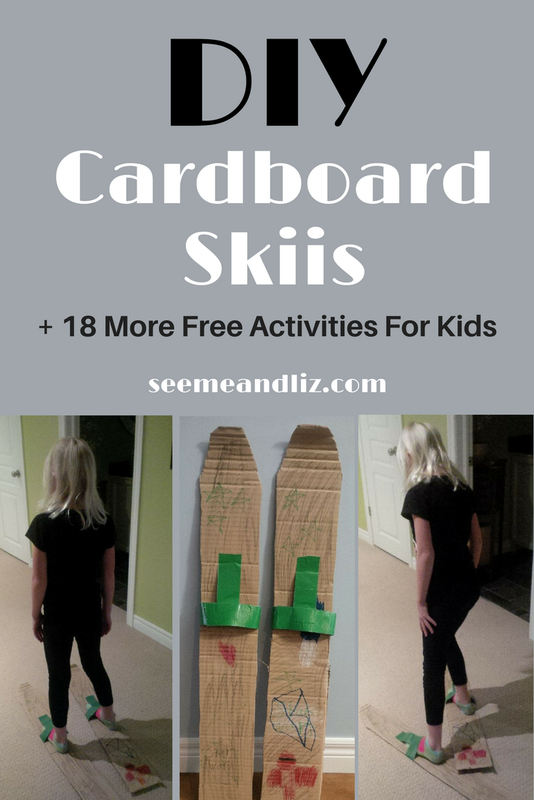 So what could be more fun than making your own skis to use around the house? All you need is an old cardboard box that can be cut up and 2 empty soda bottles. When we made our skis we didn’t have any soda bottles so we improvised and used duct tape. There are so many different ways you and your child can make your own marble run. My kids love building their’s out of Lego. We have also tried a carboard box and toilet paper roll version. It was fun to make but didn’t last long. I think making it was better than playing with it! Gather a bunch of pillows and blankets. Place them in a corner of your house. Now find some favorite books, get comfy and read! You will need mini marshmallows and toothpicks. Or if you want to make larger creations use regular sized marshmallows and pretzel sticks. Try to see what kind buildings or figures you can come up with. Don’t forget to have fun eating the creations when they are all done! My kids loved this game when they were about 5 and 7 years old. The basic premise is that when someone says “ghost town” everyone has to be quiet. The first one to speak is out of the game. Try this with your kids when you need a bit of quite in the house! Fill the bathtub with water and toys. Give your child a pair of goggles and let them look under the water. You can throw in a party in the tub light and turn off the main lights for some extra fun! You can build just about anything! My kids are into building cities and mines right now. Or anything star wars. This is another current favorite at our house. The kids have so much fun creating silly stories! I love mad libs because children get to work on grammar (nouns, verbs, adjectives, adverbs and plurals) while playing a game. We love everything science at our house! Kids learn so much by conducting simple experiments such as adding vinegar to baking soda and water! Which Game or Activity Will Your Kids Love To Play? This should be a good list to get you started. 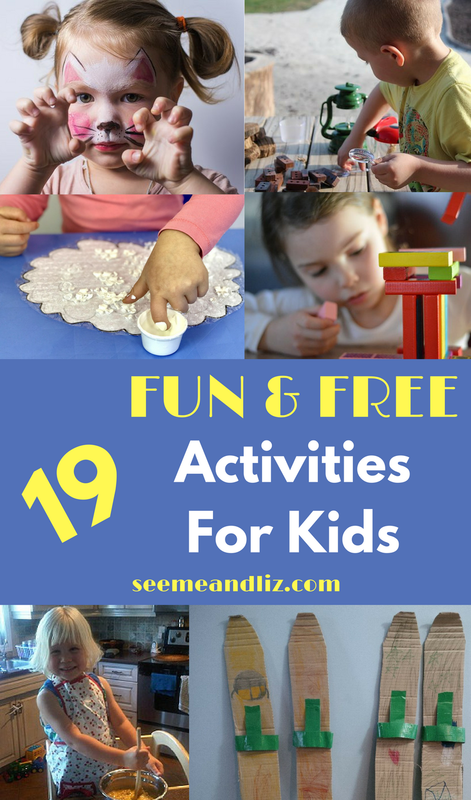 But if you want even more activities (including some outdoor ones) make sure to check out 111 Awesome Ideas For What To Do When The Kids Are Bored! Have your kids tried any of these? Which are their favorites? Thanks for sharing your passion for children and creating a space where people can learn all the different activities that can be used to engage kids particularly when they are off school. I think this is a great site because not many adults like me know about most of the fun games and activities you shared on your blog. It’s really exciting to see so many games and activities that I can now learn and use to keep my kids occupied. Most of the time, our kids get bored and we don’t know what to do with them. We have a few simple games that we keep repeating all the time. I think you have done a great job teaching us many things we can do at home even without going out of the house especially in bad weather. Great job, I will bookmark your website for future reference. You’re welcome Bolaji. 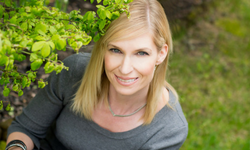 I’m sure your kids will love some of the activities and games that I have mentioned. However, as I said in response to some of the other comments, it is perfectly fine for children to be bored. In fact it is a necessary part of their development. So don’t feel like you always need to come to your kids rescue when they say they are bored. But be prepared to listen to some whining about how bored they are. Just remind that that it’s ok and part of life. Often the best ideas come from being bored and just thinking! Thanks for sharing this article about free games to play with kids. This is really an awesome article. Your effort in putting this article together to share is appreciated. There is no better way to form a bond with kids as parents or siblings than playing some simple yet amazing games like the ones you discussed. I like the kid friendly card games, it’s really cool. You’re welcome! 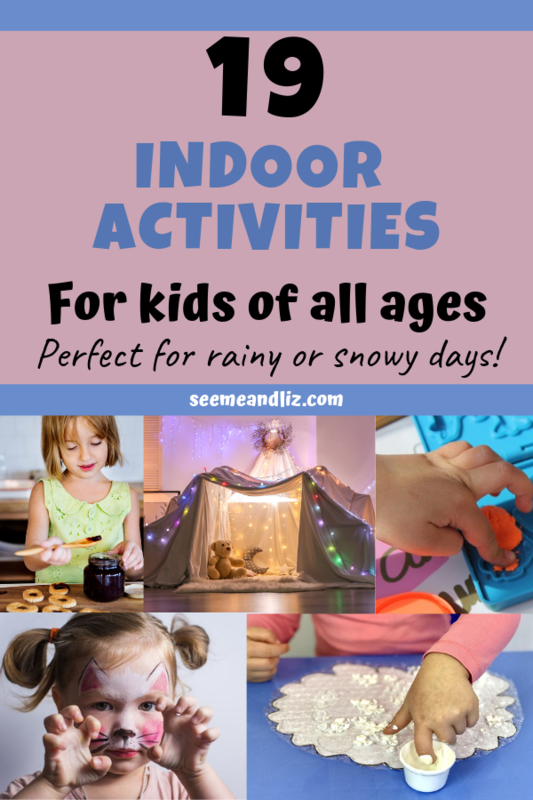 You’re right, activities such as these are a great way for parents, children and siblings to connect and bond! I love these ideas you’ve put out here. In our locale, our schools are just about to vacate, and I really need ideas to keep my kids busy all through the holiday. 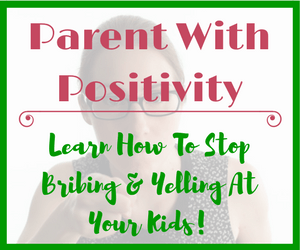 I believe these are fun and creative ways to keep them engaged, as well as having a good amount of time for more family bonding. I’m sure your kids will love these activities. But remember, boredom is also good for children. It is good for children to come up with their own ideas and not just rely on others to keep them occupied and entertained. I appreciate this a lot. I’m glad that you included a disclaimer because it is important for children to amuse themselves too. As a trained children missionary worker, I have seen that kids learn faster with things that amuse them. I have looked at some of the games in this post, and have selected 6 of them, which I would want to teach to parents in my church assembly. Most of these games would definitely help with their development as well. Thanks Tolu! I agree with you that children learn more when they are participating in activities that they are interested in! Games are a huge part of childhood. 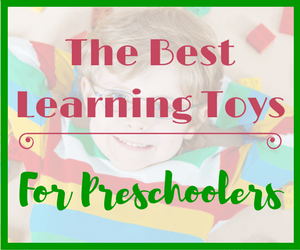 They play undoubtedly important roles in the life of a child. So many of their memories are tied to their childhood games and activities. And playing games with your child will make it more exciting and real. Freeze dance game, was one of my favorites as a child. I play it with my nieces and nephews. I can’t wait to play the game with my kids too. Freeze dance is a great one! Thanks for your comment. 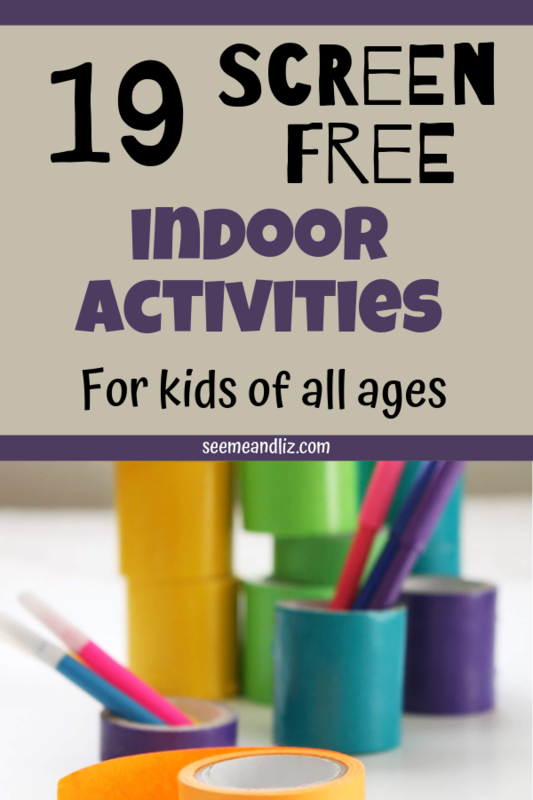 These ideas for kids are great and I am very sure my kids would love them. They sure seem like games that would be a lot of fun and from these, I think my kids favorite is going to be the freeze dance. My kids would definitely love that and they are going to call me a fun dad for taking part in it with them! The freeze dance is always fun for kids. My children love it too. And I am sure your kids would love seeing you participate. Everyone can have a turn either controlling the music or dancing! Been looking for something simple and fun like this for the last week, the weather here in Wales has been driving myself and my kids up the walls (it’s impossible to keep them entertained!). I really like the idea of the Homemade Paper Plate Puzzles as I used to do this myself in Primary School…and I completely forgot about it until I just read your article! I also like the idea of introducing them to cookies, although I’ll probably use a sugar substitute (lesson learned a long time ago!). Glad to hear you enjoyed this list of free games for kids! But remember, being bored is also a good thing for kids! Excellent ideas to keep your kids busy. We all run out of ideas at some time. They have a lot of excess energy to burn. Especially the balance beam – love it! One year old’s love simplicity and repetition. While you might get bored, don’t worry, they aren’t. You could try using a cardboard box and getting him/her to help you tear paper and throw it into the box. Then dump it out and start again. Or grab some tissue paper and crumple it into a ball and throw it into the box. Do this until the box is full. If the box is big enough he/she can sit in it with all the tissue paper balls inside. Your question has inspired a new article idea for me! 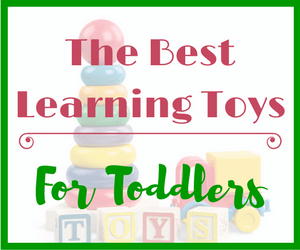 I am going to write about play activities for one year old’s! So check back in the next few weeks to read it! 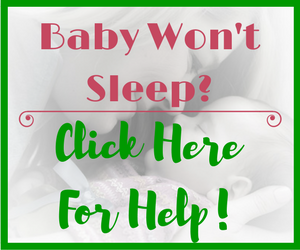 Or sign up for my free e-book and I will send out notifications (no more than once a week) for when a new article is posted. Very good advice and ideas Tanya. Sometimes the games and ideas that have been around for years are the best. They are tried and true and have proven to be fun without a lot of material or expense. Just some time and imagination for loads of fun!! Thanks Laurel. It usually is the simplest of activities that provide the most fun for children! Parenting seems to be getting more and more complicated with every new device, gadget and fancy new toy on the market. There are some great ideas here for entertaining the kids (and adults alike actually). I do not see anything new here but I see a lot of reminders of the games I used to play as a child. Long before the days of smartphones and computers which now dominate a lot of children’s lives.. this is a breath of fresh air. Thanks for your comment Chris. 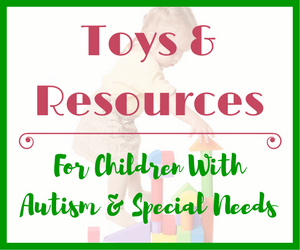 These games and activities are so simple, yet they help a child grow and learn. These kinds of “low tech” activities are wonderful for a child’s development. So much better than sitting in front of a screen. This is a great website for someone like me. I have two very young kids and they are always doing something creative and thinking of something to play at home. Out of all the games listed, for me personally, the one I would like to try is the balancing on the masking tape game. My youngest would always balance on pavement lines outside, but this would be great. Only i’m thinking of adding some obstacles along the way! I cannot believe I never thought of something like this. Thank you. It’s great to get kids using their imaginations and playing simple games such as the ones I listed in the article. My daughter loves the balance beam made out of tape on the floor! I love the idea of adding obstacles or making it part of an obstacle course. Thanks for the suggestion!